DETECTO’s APEX-RI series portable scales with remote indicators feature an extra-wide, flat platform measuring 17 in W x 17 in D x 2.75 in H, high 600 lb x 0.2 lb / 300 kg x 0.1 kg capacity, 0.75-inch-high clinical-blue LCD weight readouts, BMI calculation, 6 ft/1.8 m cable from the scale base to indicator, integral carrying handle, textured platform surface, AC or 12 AA battery power (AC adapter included on some models), 2 RS232 serial ports, 1 micro USB-B port, and HL7 IEEE 11073 compliance. They are ready to use right out of the box with no assembly needed. 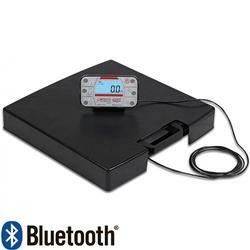 Wi-Fi and Bluetooth models are available (select -BT models) with the protocol available upon request. 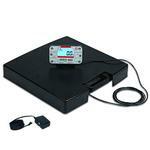 These digital flat scales let the patient weighing come to you! The apex® features a high-tech, smart-phone-style indicator for easy utilization with 6 simple buttons and a bold LCD display for large readouts. 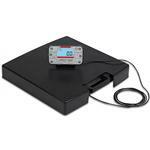 DETECTO’s apex® series APEX-RI model portable scales feature an extra-wide, flat platform measuring 17 in W x 17 in D x 2.75 in H. The apex® scales offer a high 600 lb x 0.2 lb / 300 kg x 0.1 kg capacity, 0.75-inch-high clinical-blue LCD weight readouts, BMI calculation for checking nutritional status, AC or 12 AA battery power (AC adapter included on some models), (2) RS232 serial ports, (1) micro USB-B port, and HL7 IEEE 11073 compliance. They are ready to use right out of the box in just a few seconds with no assembly needed.